The practice of pharmacy compounding is becoming a popular solution to veterinary problems. Compounding is the art and science of preparing customized medications for patients. Its resurgence in recent years provides valuable benefits to today’s pet owner. As any pet owner is well aware, animals may be extremely difficult to treat with medications. Cats are notorious for refusing to swallow a pill, and will usually eat right around one disguised in food. Dosages can be very tricky with dogs. For instance, a medication that works for an eighty pound Golden Retriever is far too much for a six pound Yorkie to handle. The pet who refuses to take medication because of the taste is often a prime subject for compounding. Cats don’t like pills, but they do like tuna. Dogs don’t appreciate a traditional solution of medication being squirted into their mouth, but they’ll gladly take it when it’s part of a tasty biscuit or treat. Just like their owners, animals are individual and unique. That’s why you love them. They come in different shapes and sizes, as a result, not all commercially available medicines are appropriate for your pet. 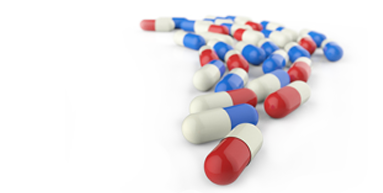 Commercial medicine often comes in large tablets or capsules of 100 mg or more. But a small kitten may only need a dose of 15 mg. That is where compounding is especially helpful. In this situation, your veterinarian can prescribe a tuna-flavored suspension with an amount that is exactly right for your pet’s size and condition. From time to time, a manufacturer will discontinue a medication used in veterinary applications. When that medication has worked well for animals, a compounding pharmacist can prepare a prescription for the discontinued product at a dosage strength and dose form appropriate for that pet’s specific needs.